Beth Robinson is a 40-ish public relations person turned stay-at-home mom, who, aside from an occasional pang of mourning for her lost youth, is pretty well content. That is, until Rachel Klein, a hip young advertising executive, moves into the house next door. When Rachel confides in Beth her ambitious career plans and her intention to rekindle an old flame with man-about-town Tim Donnelly, Beth is envious. So what if Rachel can’t cook, knows nothing about gardening and forgets to take out her garbage? She has an exciting job, an attractive love-prospect, and friends like Schuyler LaSalle, a singing stock analyst who reminds Beth of her own long-lost aspiration to be a dancer on Broadway. Soon, Beth realizes she must find a way to build a new flame for herself with the old dancing spark. Rachel -- between career-making moves at work -- tries to light Tim’s fire without getting burned. And the garbage starts to show signs of life ... Old Flames is a book you’ll want to curl up with in a comfortable chair (dancing optional). Old Flames followed me everywhere when I was reading it. It’s a light, funny look at two women and their love life regrets -- but don’t let the fast pace fool you; there is depth here. This book lingers. It’s set in North Toronto, and though I was reading in Vancouver -- I even took it on the boat because I couldn’t put it down -- I felt like I was living inside, chilling with the characters. When I finished reading, I turned sadly to my husband in bed and said, ‘‘The book’s over’’. 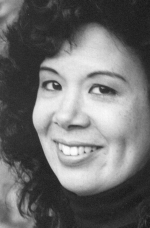 Kim Moritsugu was born in Toronto, where she now lives with her husband and two sons. She holds BA and MBA degrees from the University of Toronto, and worked for several years in a corporate setting before turning to the writing of fiction. She has taken hundreds of dance classes in her lifetime, and sometimes teaches hip-hop dance to children. She has written for CBC Radio, the Toronto Star, The Globe & Mail, and other publications. Moritsugu’s first novel, Looks Perfect (Goose Lane Editions, 1996), was shortlisted for the City of Toronto Book Award. Books in Canada called it ‘highly entertaining -- a romantic comedy with an edge’ and the Toronto Star found its lead character ‘one of the most appealing heroines in current Canadian fiction’. Since then she has written three more novels. 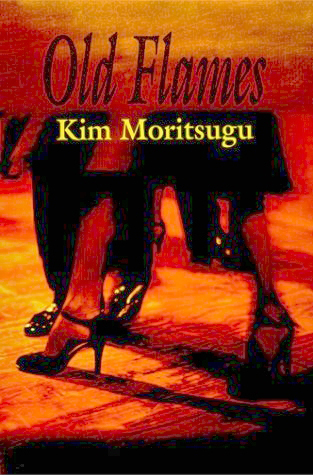 Kim Moritsugu lives in Toronto and, besides her own writing, also teaches creative writing at the Humber School for Writers.